Earlier today, Ubisoft released a new trailer for Assassin’s Creed Origins that revealed its darkly terrifying enemy faction for the very first time. Since the newest addition to the Assassin’s Creed franchise will take place way before the Templars walked the Earth, The Order of the Ancients will be featured as the true master minds of Ancient Egypt. Depicted in the trailer as the true voice behind the Pharoah of Egypt, these terrifying bad guys are shown in detailed, metal death masks to hide their identities. And trust me, it’s probably way more terrifying than it actually sounds. At E3, audiences saw the Roman legionnaires face off against our new assassin, but these Ancients seem to be a whole other monster. Despite this new insight into the enemies of Ancient Egypt, we still haven’t been given a whole of information on our new assassin, Bayek. As the supposed very first assassin, we’ve learned little to nothing about Bayek or his beliefs and intentions. Hopefully, with a little over a month until the title releases, Ubisoft will start to release additional content on this front. Or, we’ll have to buy Assassin’s Creed Origins and just find out for ourselves. 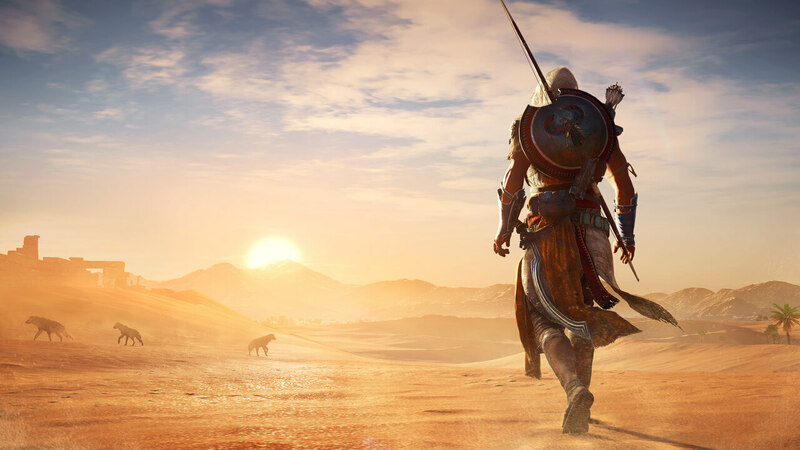 Assassin’s Creed Origins was officially announced at E3 this past summer after its release was accidentally leaked on Target’s website before the showcase. The latest venture in the world of Assassin’s Creed is set to release simultaneously on PlayStation 4, Xbox One, and PC on October 27th, 2017. Assassin’s Creed Origins will also run at 4K on the Xbox One X and Windows PC. October is absolutely packed with some stellar releases in gaming, films, and television alike. How will we ever make time for Assasin’s Creed, Shadow of War, and the new Mario title? Be sure to keep an eye on The Nerd Stash so you don’t miss a single release!